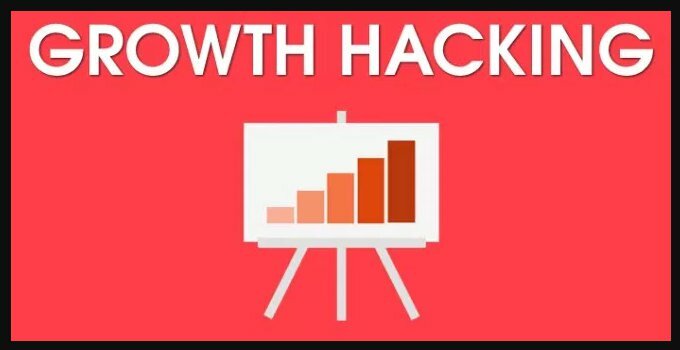 I wanted to create a list of growth hacks to help you grow your business. Some of these ideas come from my own experience of what worked and what didn’t work, and some of these ideas have been blogged about from many other experts. Read the list and pick your favorites, then let us know what you think. Comment on what would you add to this list? If you are on Slack join our CRO Growth Hacks group. Improve your website speed. Make your pages load faster and you will lose fewer visitors. Repurpose your website content. Do you have a blog that received a lot of traffic? Turn it into a newsletter that is emailed to your customers and prospects. Create an additional Call-to-Action on your Thank You landing page. You might get a new email subscriber. Use fewer fields on a registration form, such as a webinar registration or an email sign-up. The fewer fields a visitor has to complete, the more likely they are to complete the action. Send an “oops” follow up email. When you create an automated email, the first email should contain the relevant information, such as a webinar event, and the second email should be an “oops, forgot the link” message where you include the actual link. Use a real person’s name as the sender on automated emails. When an email comes from a generic sender, like info@company, it is less likely to be opened. Schedule all your social media posts using an automated scheduler like Hootsuite or Buffer. Comment on other social media posts in your field or industry. This action puts your name out there and you will become known as an expert in your field. Add the user’s name in the subject line of an email because it increases the open rate of the email. Turn your blog into an e-book that customers can download. Use testimonials on your website and landing pages because this builds trust with your current and prospective customers. Drive website traffic to a landing page rather than your home page. Your CTA button should say exactly what the button does, such as Join My Email or Download the E-book. Ask your users to post their experience with your business on their social media platforms. Make sure all your web pages contain social media icons where users can connect with you. Schedule emails during regular office hours to make sure your targeted users are awake. Use real photographs on your social media posts and blogs. Users connect with real images. Recycle popular social posts on other social platforms. A popular tweet makes a good post on Pinterest. Create a Google Business page that links to a physical office address. This builds trust and attracts more visitors from your area. Use a program like SpyFu to see what keywords your competitors are ranking on and what backlinks are in place. Build a free tool that visitors can use on your website. The free tool could be a mortgage calculator or a comparison tool. Instead of using links, insert your CTA button in the body of an email. It’s an unusual tactic that gets results. Add arrows and directional cues such as a person looking toward your CTA. This strategy leads to more conversions. Post on Tuesday, which is the day of the week with the highest engagement on social media. Take the content from a webinar or a long blog post and break it up into tweets or Facebook posts. When you attend an industry event, tag the speakers on a social media post about the event. Putting the speaker’s name and your name in the same post brings attention to both of you. Put more emphasis on lead generation than you do on fan generation. You get more business from qualified leads than from likes and retweets. The first thing you need from a prospect is their email address. Everything else is secondary. In general, fewer choices lead to higher conversions. Too many choices, features or services can cause the visitor to get analysis paralysis. Reducing prices to reduce churn does not work. If your customer does not find value in your product, they will not continue with you no matter how low the prices goes. Use a countdown clock on your website. The countdown clock could be for joining a webinar, getting a discount or taking advantage of a promotion. It creates urgency for your brand. Add an exit intent popup on your web page. This gives the visitor one last chance to take action on your offer. Offer a free trial or a $1 trial. Visitors may be hesitant to buy your product, but they are more likely to do a free trial if they know they can cancel at any time. Use a dynamic name insertion tool such as PicSnippet. Visitors who see their name displayed on your website are more likely to click your CTA because they received a personalized invitation to do so. Include a quiz on your home page. After the user completes the quiz, show a form field to gather their email address to send them the results of the quiz. Try a geotagging program like Hellobar that gives visitors a special message about an offer for their location. It’s your standard offer, but it appears as if it’s targeted to the visitor’s location. Put social sharing links directly into your content, such as “tweet this,” and include the Twitter icon next to a powerful sentence or paragraph. Ask your clients for referrals. Referral clients are hot leads. Join networking groups such as your local Chamber of Commerce to promote your business. Sponsor an event or a charity in your area. Study your competitors marketing methods. Targeted direct mail can be effective in certain industries. Just keep talking to people about your business. Keep talking! You never know who may be listening. Go live on YouTube and Facebook, and embed those posts on your website and on other social channels. Even visitors who didn’t catch the live edition can still get the information you want to share. Reach out to industry experts. Ask them a question about a topic in their industry and post the question and answer on your social networks. Remember to tag the expert. Track your leads and where they come from. You need to know which lead source has the best activity and build on it. Gather feedback from your team about the most commonly asked questions they receive from customers. Take those questions and create a blog. When you are monitoring comments on your social media channels, take note of the people who engage and contribute the most. Create a list of these people, and reach out to them personally and ask them to share your posts. Create a community group on Slack. This allows current customers and newbies to interact with each other about your product or service, and to discuss topics in your industry. Be consistent in everything you do. Consistency is the key to every success in life and business. Create a campaign that targets existing customers in order to generate referrals. Evaluate each ad based on its performance metrics. If an ad is underperforming, remove it and redirect the energy to the ad with better metrics. Make sure your YouTube videos contain tags. Tag them with your most powerful keywords, not necessarily for the video content. Research your rank. Open an incognito browser window and enter your keywords. You will see which companies rank highest for those keywords. Make a note of the meta description for each website. Create an e-book or whitepaper that adds value to your target market and solves a common problem in their business. Post it on SlideShare and remember to include a powerful CTA at the end of the document that directs traffic to your website or landing page. Constantly tweak your website and landing page. You have to test everything to see what works and what doesn’t. In many cases, data-based images such as infographics or statistical data have a higher conversion rate than other types of images. Again, you have to test to see what works. Create a strategic direction for your company and stick with it. Figure out how to build trust and loyalty not only with your customers but also your vendors. Train your employees to be responsible for their tasks and reward them when they are successful. When your employees are well-trained and happy, turnover is reduced which equals more productivity and less time retraining. Never reduce the quality you provide to your customer. When quality declines, customers move on. Grow your business but don’t grow too fast. Rapid growth can reduce product quality and impact customer relationships. Make sure you devote some resources toward infrastructure maintenance within your business. A failing infrastructure is sure to be noticed by your customers. It’s easier and more cost effective when existing customers buy again than it is to get new customers. Find a new use for your product or service and promote it to attract new customers. Extend your market reach through advertising. When you find a new market, advertise in select media that targets that market. Attend trade shows. People who are interested in your product or service attend trade shows, and your presence creates brand recognition in your industry. Don’t try to be all things to all people. Know what you do well and know what you don’t do well. This strategy keeps you focused on your true strength. Set goals and measure them. What gets tracked, grows. Your employees must believe that your organization and its leaders truly care about them, not just professionally but personally. If the behind-the-scenes operation of the business is not your speciality, hire someone else to manage it. Focus on your specialty. Excitement and enthusiasm can be a significant factor in how well your team performs. Your passion has a purpose. Innovation is very important and it can make or break your business. You must stay on top in your industry. If you are not moving forward, you are becoming obsolete. Marketing is more than a line item on a budget. It’s critical to the growth of your business. Make sure marketing is aligned with product innovation. You may hate it, but dialing for dollars is a quick way to bring in more money. Spend more time calling customers, specifically the customers who buy. Create time rules. Many entrepreneurs get caught up in paperwork and non-sales- related activities and suddenly the day is gone. Segment your day into income-producing activities and non-income-producing activities. Believe it or not, how you see yourself matters. If you see yourself as a top income producer and you act accordingly, then that identity will take root. Always be looking for ways to improve your business and distinguish yourself from your competitors. These ideas can come from anywhere or anyone. Recognize that you don’t know everything and always be open to listening to new ideas. You must have top notch customer service. Everything in your business depends on it. If you fail to plan, your plan will fail. Hire the right people. Author Jim Collins recommends getting the right people on the bus, getting the wrong people off the bus, and putting the right people in the right seats on the bus. People first, direction second. Be adaptable. Sometimes you have to change directions quickly as the market shifts. Being nimble and flexible will add to your success. Pay attention to customer experience. How customers perceive your business is critical. Personalizing the customer experience will strengthen the relationship. A thoughtfully managed social media plan will significantly promote your business and your brand. Social media content should be optimized for each platform. You can post long content on LinkedIn, quick updates on Twitter, pictures on Instagram and memes or videos on Facebook. Monitor which social network has the most engagement, and focus on that platform more than the others. This process will tell you which platform your customers prefer. Social media content must align with your message. Every post should mirror your brand identity. Some social media content is not very popular or exciting, such as press releases or testimonials, but it’s still important to promote these posts to solidify your brand. Don’t allow your ego to run your business. Listen to and get advice from others. If you don’t believe in your brand, it won’t succeed. Build a brand you believe in. Run your business as lean as you possibly can, being careful not to waste money or energy. Express gratitude. Take a few minutes each day to express gratitude to those around you – your team, your assistant, the barista in your favorite coffee shop. It may seem like nothing, but practicing gratitude has a big impact on your business. Take good care of yourself. Eat healthy foods, exercise, sleep – all those things contribute to your business success. Think about failure as an opportunity to overcome challenges. Are you chasing an existing market or creating a new one? The most successful entrepreneurs create new markets. A successful business is more than just profit. Your values and objectives should reflect a deeper sense of how you contribute to the needs of others. Create a sales incentive program for your sales team. You can go one step further and get your sales and marketing teams to work together by creating team incentives! If you have a promotion or sale coming up, let your customers know. They will come back and probably purchase additional items. Read books, blogs, articles, anything you can put your eyeballs on. The more you know, the more you grow.